Blogging simply means adding an article or newsworthy “post” to your website/blog. Why is it such a big thing? Because Google (and other search engines) love it! I wrote a post on that back in November last year when Google started out with real time search results. I had a post of mine show up, not only on page 1 in Google but position 1, but the big news is all this only 6 minutes after I made the “post”. WordPress sends out a ping telling the world “Hey, new stuff over here, come and check it out” so all the search engines come running. The second is that Google will actually index (recognise) that “post” and rank it and show it in the search results within minutes of you publishing. For those with WordPress Blogs this is a major coo. By the way, Smarter Websites are actually cleverly disguised WordPress Blogs – every single one. Because all our sites soar in the Google Charts, plus they have a very simple Content Management System so you can do your own posts. It’s as easy as writing an email. “But what do I write about?” is the most common question I get. If you answer yes to the following about what you know and talk of then you can blog. Will it help to position you as an authority? Will it improve your credibility? What your business is about and how you help people are generally newsworthy articles or “posts”. One area I advise my clients in is how to leverage the most from the use of testimonials. The most powerful way to do that is tell a story about a problem or an issue that a client has had. Then tell how you went about resolving that problem for them. You are then able to incorporate your client’s testimonial relating to that and all of a sudden your post just became a very powerful marketing piece. Your results will be in the Organic section or the free listings area in the search engine results so absolutely no cost for top rankings. Oh, by the way, write like you speak. When some people start to write, it’s often like they pick up a hat titled “legal speak” and write all legal like and “stuffy”. Keep it simple and just write like you talk, that way you know they’ll stay awake (Unless of course people fall asleep when you do talk – lol). You’ll get better and quicker at it in no time. 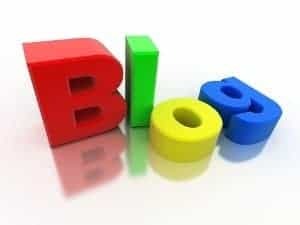 Hope that helps you “Blog for Business” and get your website cranking up the search engines charts. ← Soar the Google Charts using Predictive Search Results. Thanks Peter, some great tips there..